We are one of the UK´s largest seating retailers, and are proud to be an independent, family run business. Our expert advice, quality products and friendly, relaxed environment together with competitive pricing have earned us an unrivalled reputation which has been established in over 40 years in the furniture industry. In our large showroom in Bishop’s Stortford you will find a wide selection of chairs, sofas, recliners and sofabeds in both contemporary and traditional styles and in a wide range of quality fabrics and leathers. Most models in stock are available for free next day delivery. A separate specialist seating range is available for those with mobility issues or specific back problems. This includes an extensive collection of chairs and sofas and one of the largest selections of electric riser recliners available. We offer a free Choose at Home service for those unable to visit our showroom. This service is used extensively by our private customers and healthcare professionals. Our Price Beat Policy promises to beat any local or national retailer (including online) offering exactly the same goods and services. 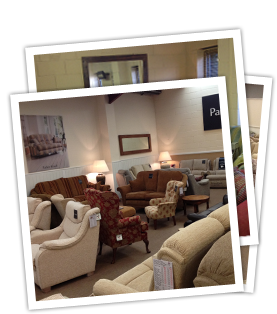 We look forward to welcoming you to our showrooms, or meeting you and advising you on a Choose at Home visit.